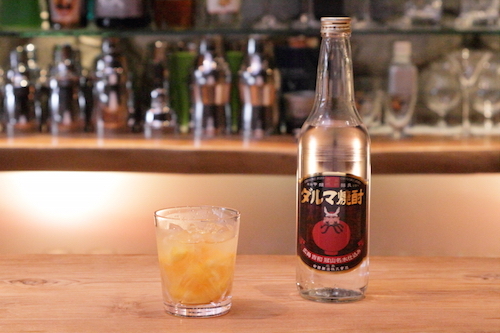 What we are going to introduce this time is a cocktail called ‘Daruma caipirinha with Hassaku orange from Hiroshima’ using Daruma retro as the base. 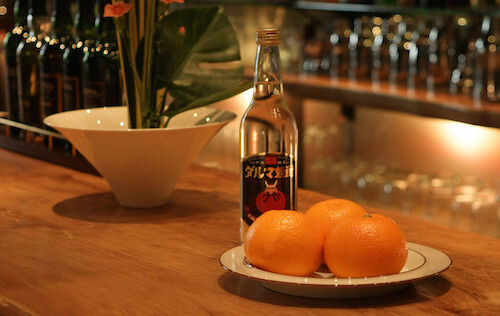 What you need is Daruma retro and Hassaku oranges from Hiroshima, and some syrup (if you like). Chop up a Hiroshima hassaku orange into chunks, take a quarter of them and mash them up with a pestle. Add some syrup to taste and crush some ice in. Pour some Daruma retro in and mix it around to complete it. 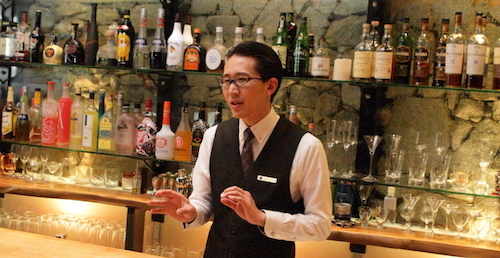 I heard that CHUGOKU JOZO focuses on ingredients that are from Hiroshima when I was inventing this cocktail, so I thought about using ingredients from Hiroshima for cocktails as well. Also, a Brazilian cocktail called caipirinha has been popular recently, well, now the summer season is just around the corner and it’s perfectly refreshing, so I decided to make the cocktail. I’ve tried a variety of ingredients when selecting what to put into cocktails, and if you add oranges then it often becomes too sweet, so a slightly bitter Hassaku orange was just perfect for the image I came up with. 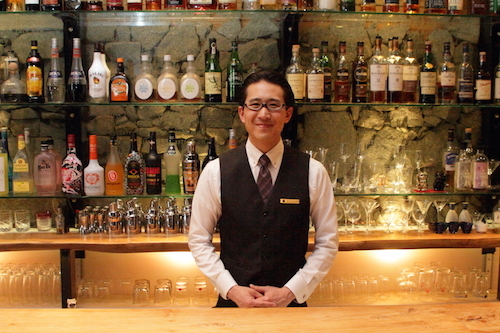 It will look perfect in a rock glass, please have a try.